Located in the heart of Celebration, Florida, Salon 720 is the premier Spa & Beauty Salon of the Orlando area. Salon owner, Cheryl Graves came to me looking to give her website a complete facelift that complimented her salon's contemporary elegance. 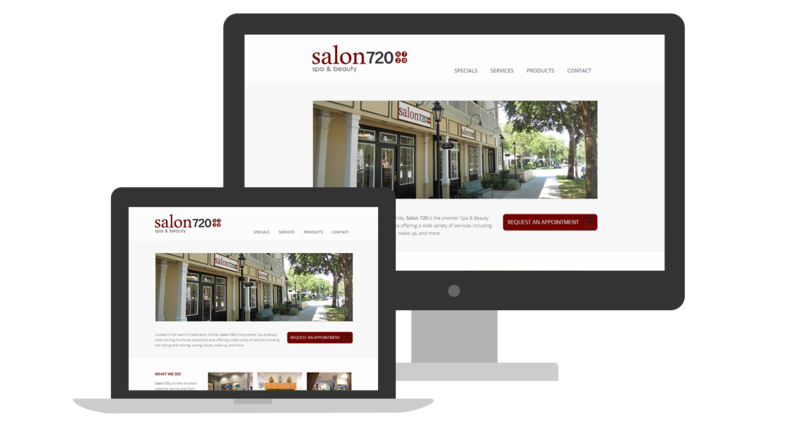 I worked with Salon 720 to create a simplistic, sleek design for their new website that portrayed their modern, high-end services. I then carried the newly implemented look and feel from their website into various print marketing pieces that clearly resonate with their target audience.